Tamrie “Tami” Kohoutek, 57, of Detroit Lakes, passed away on Tuesday, January 22, 2019, at Essentia Health St. Mary’s Hospital. No services will be held at this time. David-Donehower Funeral Home is assisting the family. Tamrie “Tami” Dalberg was born on May 23, 1961, to Donald and Jean (Peterson) Dalberg in Veblen, SD. Tami was raised in the Claire City, SD, area and graduated from New Effington High School with the class of 1979. After high school she married Keith Kutter, to this union their son Bryan was born. The family moved to Lidgerwood, ND, where the couple owned and operated TK’s Drive Inn. The couple later divorced, and she moved to the Fergus Falls, MN area. Tami held various jobs in the Fergus Falls area and met her second husband Dirk Kohoutek. 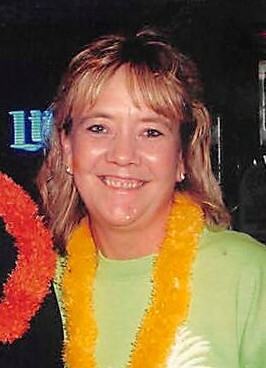 Tami later moved to the Rothsay area where she met her soulmate Allen “Tiger” Jensen. The couple lived in the Detroit Lakes area and shared over 19 years together. Tami enjoyed entertaining family and friends, spending time with her two grand-kids, playing cards, board games and boat rides on the lake. Deeply loved, Tami’s passing is mourned by her son Bryan (Amanda) Kutter of Moorhead, MN; soulmate Allen “Tiger” Jensen of Detroit Lakes, MN; brother Rodney (Nina) Dalberg of Springfield, MO; sisters Linda (Larry) Nelson of Eugene, OR., and Kathryn (Tom) Vick of Hamilton, VA; grandchildren Avery and Madison Kutter, as well as nieces and nephews. She is preceded in death by her parents Donald and Jean Dalberg; brothers John and Greg Dalberg; favorite furry friends Carmel and BJ.